I love Halloween! It is an excuse to eat way too much candy, dress up as someone who is not yourself, and watch old disney channel movies on TV. So this year I decided to do a series of blog posts all about Halloween costumes! For Mary Poppins I wore a black hat which I DIY'd myself with faux flowers and straight pins. I also put on a white button down, a black skater skirt, and black booties from my closet. I stopped by a thrift shop to find this velvet floral top clasping purse, followed by a trip to Michaels for some red ribbon for her bow tie. When in doubt when looking for gloves and tights around Halloween stop by a pop up Halloween store like Spirit! Arthur is a super easy costume to put together! Grab a white button down, jeans, a yellow sweater, and any chuck tailors and you are set! If you want to be adventurous, try to make these DIY Arthur ears! This outfit is one of my favorite! I put it together with a yellow dress, a pair of yellow shoes (black and white totally work as well), and white tights. 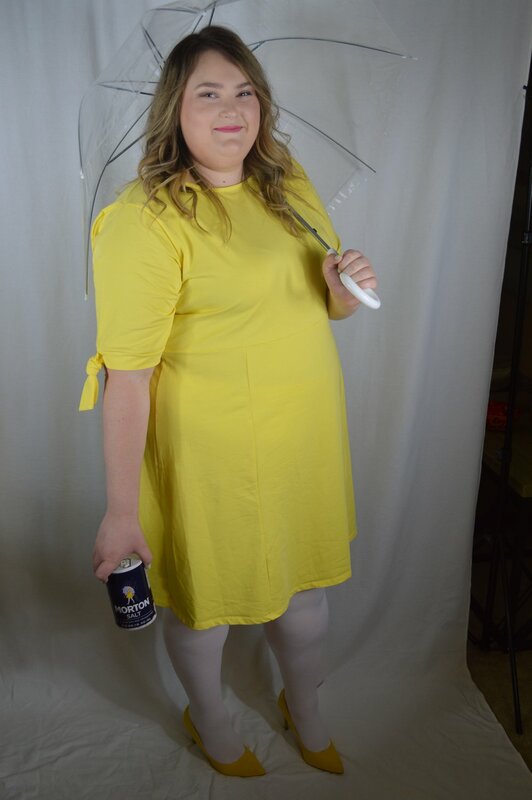 If you want to accessorize add an umbrella and a salt container. A special thank you to my very good friend Leah who did a fantastic job as my makeup artist for this very long photoshoot! Check out her Instagram for more make up inspiration! Thank you for reading and stick around for the next couple of weeks to see all the other Halloween costumes I have to share. Comment down below what you are going to be for Halloween this year!